To say that I was shocked when this image and video flashed across my CNN mobile app would be a untruth to the utmost degree. However, what is a bit of a shocker is the age of the individual who was taunted by these “thugs.” Now before anyone reading this post get all in an uproar of my use of the word “thugs;” I will get around to my verbiage and it’s a common reference to individuals of darker hues who commit similar infractions either in this post or one at a later date. While some of you who are reading may only be focused at the surface level of this post; there are those who also maybe questioning why I stated that I am in shock due to the age of the victim. To be honest, the first time I viewed the video I had no idea of the actual age of the victim, I just assumed that he was an older gentleman. Which, to be honest, should not have any relevance in this ordeal at all as it relates to the reasoning behind this spectacle. My shock hinges on the fact that as a child growing up, we knew of the nonnegotiable which is to respect your elders. So, to say shock, could be considered more of an understatement. As an educator, it deeply saddens me to see this continued level of disrespect aimed at our elderly citizens who have earned the right to peacefully practice their cultural traditions (which by the way in this situation is not offensive or insensitive to any other culture or tradition) without the fear of intimation, be it physical or verbal. 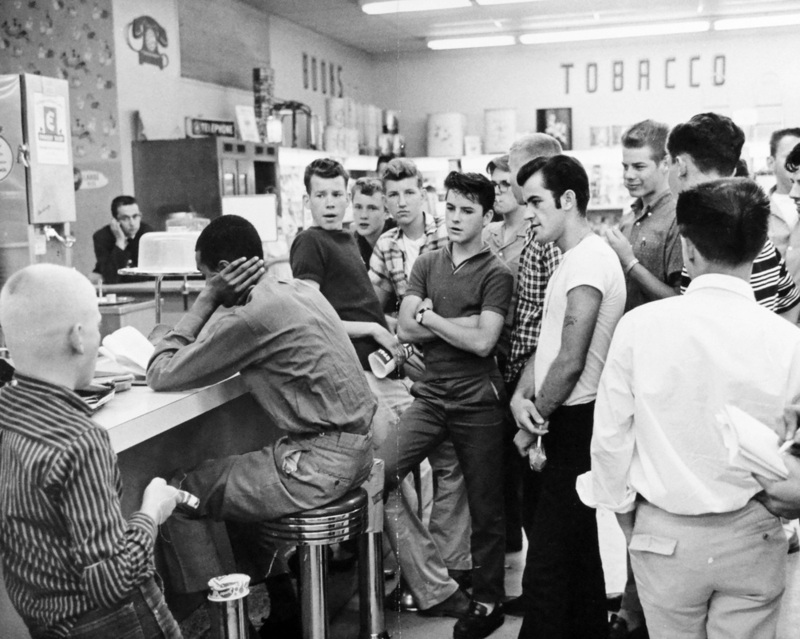 Perhaps what is even more troubling is the similarities of the look and blatant disrespect on the faces of these young men to that of the looks on the faces of young men of days gone by; which evidently has not gone away but simply been replaced by the slogan: Make America Great Again. I was watching something today on the television and I heard a phrase which I find quite appropriate as I put this blog together. The protagonist stated that it didn’t matter if you grabbed the tail or the head of the snake; you are still grabbing the snake. The antagonist rebuttal was very chilling but also very true. He replied: Yes, but one end will bite you. See the teens whose faces are going to plastered over the media for some time, and rightfully so, is certainly not the head of the divisive rhetoric and blatant assault on the less fortunate and less “desirables” (not my words). So, one may ask; who is the head? Well, one must look no further than the “top hat” (no pun intended). However, I won’t insult your intelligence by assuming that you don’t know. Yet I will mention a piece that I found containing similar insensitive remarks and sentiments made by the Commander-in-chief. In 2017, I wrote a piece on my blog site, Allmanstuffincluded titled: All Visits are Not Good Visits Sometimes. A great piece of literature I might add, and not just because I wrote it either (well maybe I’m a bit biased). But in that piece, I mentioned the President and his tribute to Andrew Jackson, the architect behind one of the greatest acts of betrayal and barbarism in United States’ history; The Trail of Tears. The President’s admiration and fondness of this former president is an indicator of the current President’s apparent desire to follow the blue-print of Andrew Jackson. The removal of hundreds of thousands of indigenous people is in line with many of the policies that attack the less fortunate and those who go against the propaganda which has done nothing except cause chaos in social, political, religious, and economics facets both nationally and globally. After some research on the political policies of Andrew Jackson and Donald Trump; one cannot deny the similarities. However, because I am not a politician, I will stay in my lane and only make light of the apparent. Yet I will note an interaction and incident between the Navaho Code Talkers at an event honoring the Veterans at The White House in 2017. The apparent disingenuous words and body language of the President, though something of a spectacle, was not the attention stealer of the evening. Unfortunately, the attention grabber for those who watched and learned of this debacle was his reference to one Senator in particular, which ended up being the caveat of the evening. President Trump referred to Massachusetts Democratic Senator Elizabeth Warren, though not by name, as Pocahontas was distasteful, insensitive, and very inappropriate for an event honoring the heroic actions of the Navaho Code Talkers. Distasteful, insensitive, and inappropriate for an event. I cringe at the idea that these adjectives would be appropriate at any event. However, we continue to hear, read, witness, and be appalled at the growing number of incidents from people of all colors and creeds since the current President’s inauguration. I’m reminded of a phrase from William Shakespeare’s play Henry IV: “Heavy is the Head that wears the crown.” What comes with that crown is responsibilities, unbiased administrative actions, equality, and most important leadership. When you wear the crown, not only are the people admiring the aesthetics, they are also watching the individual wearing it. And the most impressionable demographic on earth is our youth. So, when I hear and read about Pocahontas comments and referencing the Navaho Code Talkers as “you people,” the building of the wall, and his consistent attack on the intelligence of Black Americans by the President of the United of States of America; you are correct in wondering why I would be shocked at the scene which unfolded at the Lincoln Monument. I should have just looked at the crown on the head of the kids. Previous Post Previous post:The Late late showing with Lebron James and the Lakers…featuring Kyrie Irving?